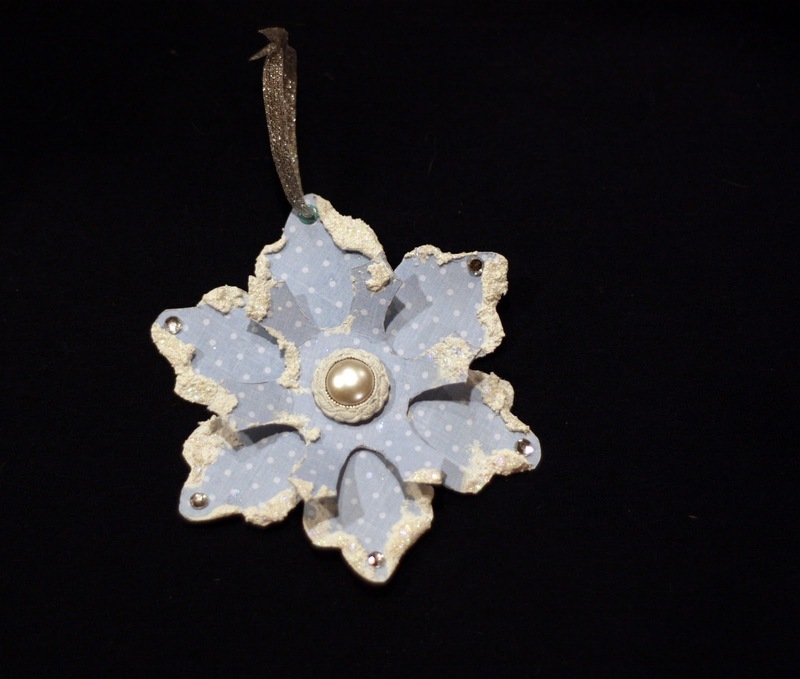 This ornament was made from paper and SnowTex and a button! Two more ornament to follow. This is so cute! :) Thanks for playing along with us at Made Especially For You!